The Medipac Travel Insurance Application must be completed within Canada and all applicants must be present during the application process; personal (electronic) signatures will be required from each applicant, otherwise your policy may be NULL and VOID. Online applications cannot be completed under a Power of Attorney. Read the Policy Text for more information on the program's benefits, What is Not Covered, Pre-existing Conditions, and General Exclusions. Remember, if your health changes at any time between the date of your application and your Effective Date of Insurance, you must contact Medipac to determine whether you are still eligible for coverage and, if eligible, at what rate. If you are not certain of the answers to any of the medical questions on the application, we strongly suggest that you consult your doctor. Trip Cancellation Insurance is an option available on Single Trip Plans, and are applicable to one trip only. You can purchase Trip Cancellation Insurance for single trips under the Medipac Annual Travel Plan by calling our office after you have bought your annual plan. How does the travel insurance application work? With the Medipac Online Travel Insurance Application you can either BUY ONLINE or complete the application, print and send it in via regular mail. Either way, the application must be completed and paid for prior to your Departure Date from Canada. If you choose the buy online option, you will be able to pay for your Medipac Travel Insurance Policy using the secure credit card payment function. After payment is confirmed, your Medipac Policy and Identification Card will be created and displayed in PDF format. NOTE: Any Medipac Travel Insurance Policy issued online is issued on the basis that the questions and information you provide throughout the application process are true to the best of your knowledge - CAREFULLY ANSWER ALL QUESTIONS. Applications with incorrect answers or statements may be deemed NULL and VOID. What do you need to complete the online application? 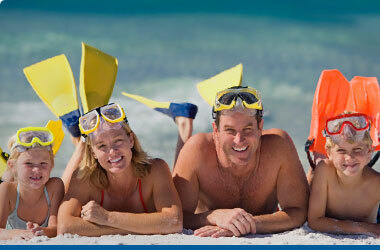 The Medipac Online Travel Insurance Application is systematic and easy to use. The only technical requirement is that you have Acrobat Reader so that you may view, save and print PDF files. Click Here to test if you have Acrobat Reader installed on your system. If you do not have Acrobat Reader, you can download the FREE and SAFE program from the following link: http://www.adobe.com/products/acrobat/readstep2.html. Acrobat Reader is the internet's leading software to view documents in their original format. If you do not already have this installed, you should download it now in order to complete the Medipac Online Travel Insurance Application. The only other requirements to complete the Medipac Online Travel Insurance Application are that you have a printer (to print your travel insurance documents and cards), a credit card (if choosing to purchase online), and an email address to which we will send you fulfilment documents to complete your purchase. No refunds are available if a claim has been incurred. The premium for the Annual Add-on cannot be refunded once coverage begins. All refund requests must be made in writing from within Canada. Premiums $50 or less will not be refunded. the Insured is unable to travel due to a death in the immediate family. FULL REFUND less a $50 Administration Fee per person if the policy is cancelled prior to the Effective Date of Insurance for any other reason. Cancellation of the Single Trip Plan will also terminate the Annual Add-on. PARTIAL REFUND less a $20 Administration fee per person if the Insured returns to Canada at least 10 days prior to the scheduled return date. A pro-rata refund will be calculated using the later of the postmarked date of the written request and the requested termination date. However, if You have purchased the Annual Add-on, only the premium in excess of a minimum 23-day Single Trip Plan will be eligible for a refund. Your request must include a statement that no claims have been incurred.